Surfing. Our greatest passion which we would love to share with you. It is truly amazing how much fun one can have with just a board. All the rest simply provided by nature. In a 1.5 hour clinic the ever stoked and always enthusiastic instructors from Surfana Zandvoort will teach you the basics of surfing. Be aware this is seriously addictive. 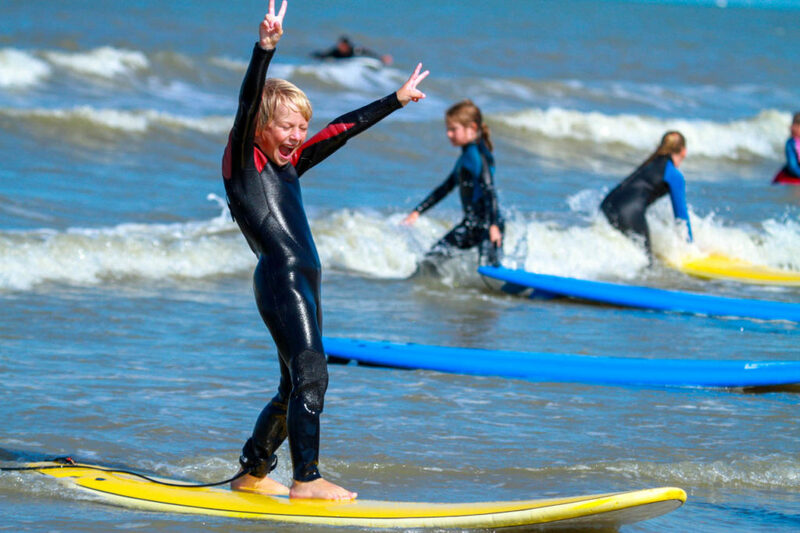 It is very likely that just a few months after your first surf lessons, you can’t imagine how you have ever spend a holiday or “any spare time” not by the sea. Enjoy guys! Kids are welcome to come by at any moment of the day, a kids lesson will be scheduled in when there are enough attendees!